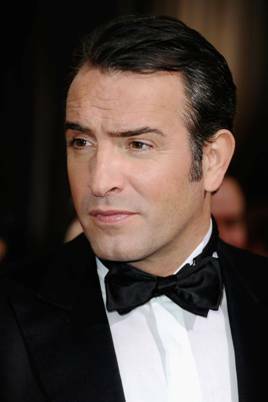 We cannot promise that you will end up looking just as stunningly handsome as Jean Dujardin, the Oscar Winner for Performance by an Actor in a Leading Role, but we can promise that you will definitely up your grooming game. FocusOnStyle has the inside dish on what grooming products (they are French, of course) were used on Jean Dujardin to make him carpet worthy tonight. 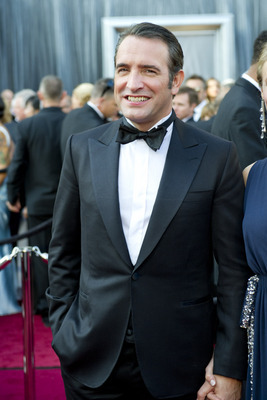 Celebrity hair stylist Louise Moon created Jean Dujardin’s dapper look for the 2012 Academy Awards tonight, using Leonor Greyl Haircare products (a favorite of Sharon’s) and Talika Skincare. created a very simple style,” said Louise. After applying Leonor Greyl Mousse au Lotus Volumatrice from roots to ends, Louise quickly blew dry Jean’s hair. She then distributed a tiny amount of Leonor Greyl Huile de Palme throughout for added gloss. “This makes the hair look alive with a bit of shine and volume without overpowering him,” she explained. To complete the look Moon sprayed Leonor Greyl’s Laque Souple light hairspray, perfect for fine hair. To ensure Jean looked bright-eyed and ready for his big night, Louise applied Talika’s Eye Therapy Patches, which help to minimize dark circles and puffiness. After removing the patches, she ran the Talika Skin Retouch Eye Contour wand beneath both eyes for added rejuvenation. (Coming out soon in the U S). 2012, 84th Academy Awards, Academy Awards, arrivals, celebrity, celebrity style, dresses, hollywood glamour, Jean Dujardin, Leonor Greyl, Louise Moon, Men's Oscar Style, Oscar, oscar beauty, Oscar Grooming, Oscars 2012, photos, red carpet, red carpet fashion, Red Carpet Photos Arrivals, Talika Skincare.